Dole, Elizabeth. Hearts Touched with Fire: My 500 Favorite Inspirational Quotations. New York: Carroll & Graf, 2004. Elizabeth Dole, in Women in Congress, 1917-2006. Prepared under the direction of the Committee on House Administration by the Office of History & Preservation, U.S. House of Representatives. Washington, D.C.: Government Printing Office, 2006. Dole, Elizabeth and Bob Dole. Unlimited Partners: Our American Story. New York: Simon & Schuster, 1996. U.S. Congress. 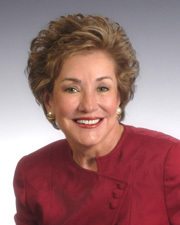 Tributes Delivered in Congress: Elizabeth Dole, United States Senator, 2003-2009. Washington: U.S. Government Printing Office, 2010.